Papercade alpha build preview! Comment to let us know what you think of the game so far. Thinking up any ideas for potential story-games? IGDA Montreal DemoNight was amazing! We sure had a blast. There were something like 600 people in attendance at DemoNight, and 25 games were showcased. 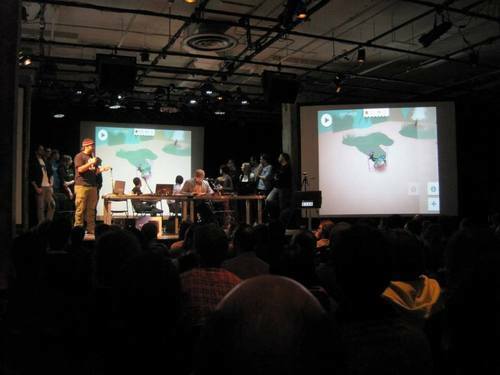 IGDA Montreal has put up a photo album [Facebook] and a full video recording of the night (we’re at 1:19:11). Plus, our pals at Flip Side Culture posted their own recap video the other day. Also: Papercade was featured as a top pick from the night by Montreal culture magazine Cult MTL and by the original self-proclaimed hipster-nerd Mariko on her site Gamerwife. We’re flattered! Later this month, January 28 to be precise, we will be showing off the latest version of Papercade to the Montreal games community at the IGDA Montreal DemoNight. We’ll be floating around taking signups for our beta test, so be sure to say ‘hi’ to any one of us from Hololabs and get your name one the list. You can also show your interest by signing up on the Papercade website. It’s exciting to see such a diverse lineup - from teams to content to platforms - and it will be great to see what our fellow game developers have been up to lately. We're Hiring! Game Developer (Unity 3D) Edition. We are expanding our development team in order to complete two upcoming F2P titles for mobile platforms. Candidates should have an interest in social, casual and mobile games. Is this you? Get in touch! Send over an email with your CV to info@hololabs.org. Hi there everyone, My name is Astrid Rosemarin (front, right hand side) and I recently joined the Hololabs team as the Community Director. I’m introducing myself because we want you to know that I’ll be here and all over the social networks to chat at any time. That means whether you’re big into Facebook, Twitter, Pinterest, or even Google+ I’ll be there as Hololabs and Papercade sharing and interacting with y’all. So, ‘why now?’ you ask. Well cool story. 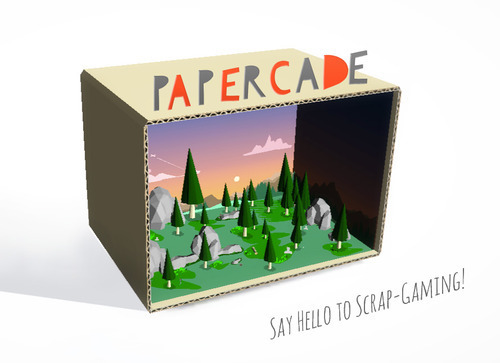 Currently here at Hololabs we are working on building an exciting new gaming experience for mobile called Papercade, and we want you to be involved! You can already check out our teaser video over on the Papercade website, and even sign up to be notified when the beta version is launched. 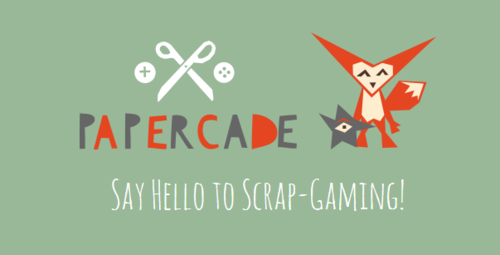 We want you to experience the making of Papercade with us, so over the next little while I will be sharing some behind-the-scenes, ins and outs, and other fun goodness. Plus, as we mentioned in our CMF annoucement post, we want to hear what you think about Papercade and any feedback you might have. On a related note, I’m not the only new person around here. A couple other neat people have joined the team here at Hololabs, too: Geoff Cooper and Stephane Paul. You can find out more about them over on the Hololabs website along with co-founders Mike Wozniewski and Paul Warne. 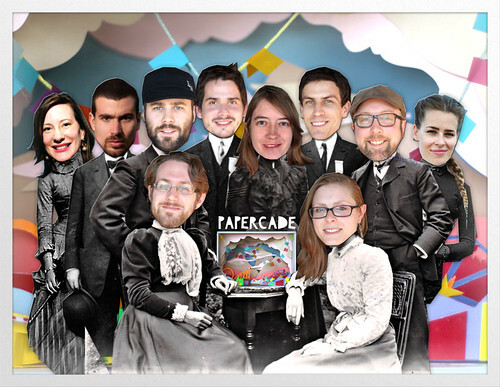 Also related, all of the fantastic people who have so far contributed to Papercade’s development are with us in the photo above. We wanted a fun and thematic way (with snazzy outfits!) to acknowledge Catherine Warren, Eduardo Noya Schreus, Tanya Short, Lacy Barry, and Graeme Lennon for their greatly appreciated work on Papercade. Thanks! This summer has been great on the conference front. We have been all over the continent showing off our Papercade demo and talking to people about signing up for our soon-to-be-launched closed beta test. Not to boast or anything, but there are quite a few people signed up for beta test information already. It’s exciting. About a month ago we showed off Papercade at the Mount Royal Game Society monthly meetup and it went well. Some of us from Hololabs are always at the MRGS meetups each month and it’s fun to get feedback from people in real life, as well as see what other games people are up to around town. Aside from the MRGS each month, the Hololabs team has been lucky enough to make it to a couple other big-name events throughout the summer. Early in July we swung by the International Startup Festival and hung out with over 1,400 movers and shakers in the global startup community. After that, at the end of July, we won a spot in the Indie Prize Showcase at Casual Connect USA and got to show off Papercade to our American amigos. Next up in the public appearances department for the Hololabs team is MIGS coming up in November. We are looking forward to it, and would love to hear from you if you’re planning on going as well. In the meantime, why not join us on the social networks? We’re all over Facebook, Google+, and Twitter these days. We are excited to announce that Hololabs has been selected to receive development funding through the Canada Media Fund (CMF)’s Experimental Stream. Diyorama is part of the first of two rounds of funding for the 2012 calendar year. The full list of funded projects for development and marketing can be found here. 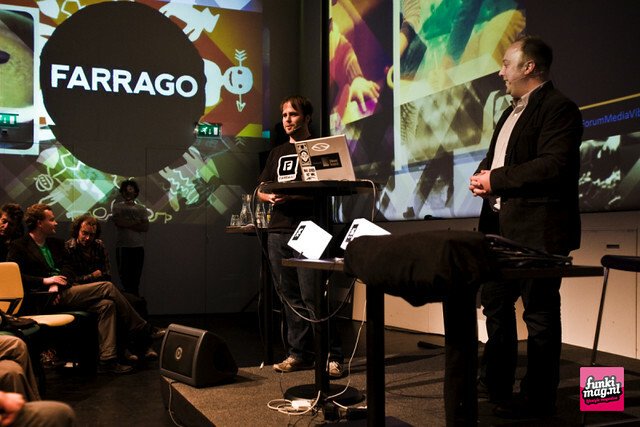 As promised, here is the video from the Hololabs presentation of Farrago at ForumMediaVibes. Enjoy! ForumMediaVibes Vol. 2 Paul Warne en Mike Wozniewski from Groninger Forum on Vimeo. The Farrago AR FunKit provides a suite of intuitive tools that allow users to take photos and record videos while incorporating 3-D graphics in real time. 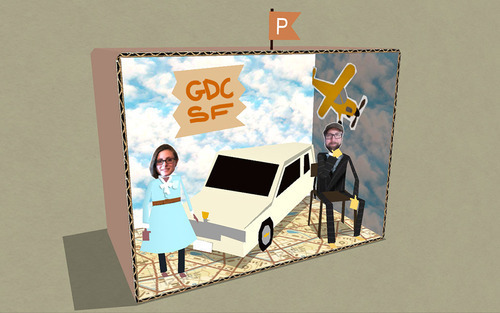 Users can choose from a library of 3-D objects, including props and costumes, or create their own objects using a built-in editor. Once an object is selected, it can be placed anywhere within the mobile device’s camera view using the touch screen. An object also can be associated with a fiduciary marker, a printable pattern that can be held or worn. Viewed through the lens of the camera, the marker becomes the object, and the object – a sword, a rocket, the head of your favorite world leader or anything else you can think of – becomes part of the scene. With Farrago, what you see is what you imagine. Available now on the App Store, Farrago is being developed by Montreal-based Hololabs, a team with decades of combined experience in programming, video-game production and interactive design. Find videos of Farrago in motion at farragoapp.com, and follow us on Twitter @farragoapp. MixAR Kickstarter Campaign Update: We're Funded! Thank you to everyone who helped support the MixAR Kickstarter campaign! 99 backers came together to help us turn MixAR into a reality and we couldn’t be more greatful.